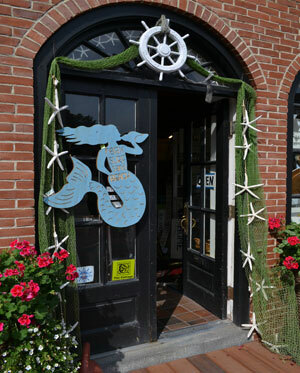 In this North Shore coastal town, you will find myriad shops and restaurants, red brick buildings, pedestrian walkways, a playground and a relaxing waterfront path. There are gift, home decor, clothing, jewelry and pet supply shops. 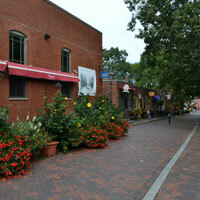 The heart of the district is Market Square where Water, State and Merrimac Streets meet across from Waterfront Park. There are benches and pedestrian only walkways that make it easy to rest from your shopping with gelato from Dolce Freddo, an ice cream from Simply Sweet, or a hot beverage from one of the many coffee cafes. 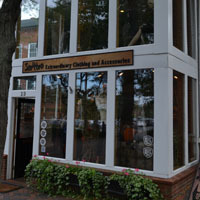 Tannery Marketplace is located along Water St. Here you can find indoor shops, restaurants as well as spa services. A short drive away, Plum Island has long sandy beaches, a wildlife refuge and a state park. It is popular for swimming, bird watching, kayaking and fishing. 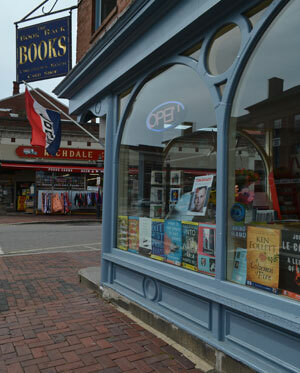 Great for a vacation, day trip or getaway weekend, Newburyport has lots to explore and enjoy. 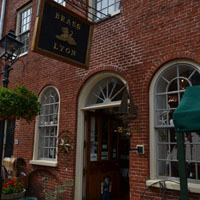 Brass Lion, Market Sq., Newburyport, Mass. Elephant's Trunk, Inn St., Newburyport, Mass. 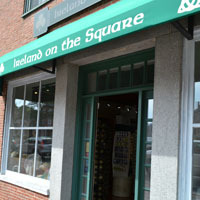 Ireland on the Square, Market Square, Newburyport, Mass. 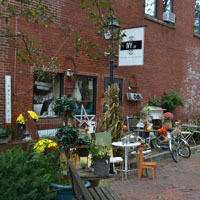 Ivy Lane, Pleasant St., Newburyport, Mass. 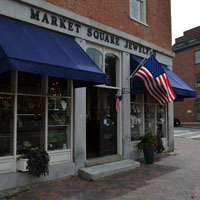 Market Square Jewelers, Market Sq., Newburyport, Mass. 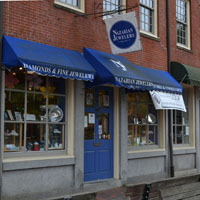 Nazarian Jewelers, Market Sq., Newburyport, Mass. 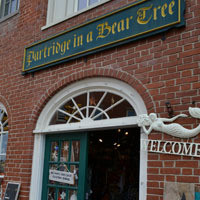 Partridge In A Bear Tree, Market Sq., Newburyport, Mass. 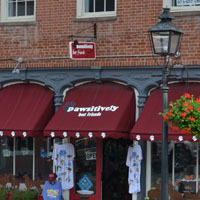 Pawsitively Best Friends, Market Sq., Newburyport, Mass. 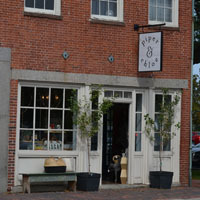 Piper & Chloe, Water St., Newburyport, Mass. 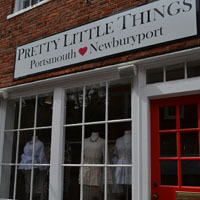 Pretty Little Things, Inn St., Newburyport, Mass. 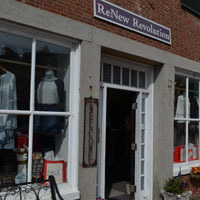 Newburyport Renew Revolution, Market Sq., Newburyport, Mass. 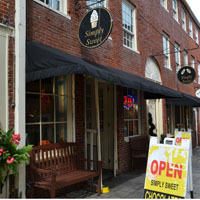 Simply Sweet, Inn St., Newburyport, Mass. 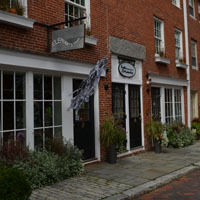 Smitten, Inn St., Newburyport, Mass. The Cottage, Market Sq., Newburyport, Mass. 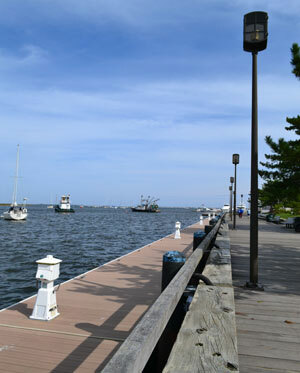 Waterfront Park, Merrimac St., Newburyport, Mass.